At your first appointment, we will examine and provide you with the proposed treatment plan for your tooth/teeth and if possible other treatment options. Often there are multiple options to manage a diseased root canal and this will depend on your specific situation. The plan usually involves one to two appointments per tooth but we will explain all of this and what is involved at the time of consultation. It’s in our best interest to make sure you understand and are comfortable with the proposed treatment plan. If however you are experiencing pain and discomfort from the tooth please make sure to advise our reception staff over the telephone, as a consultation appointment only will not provide sufficient time to commence treatment on the same day. 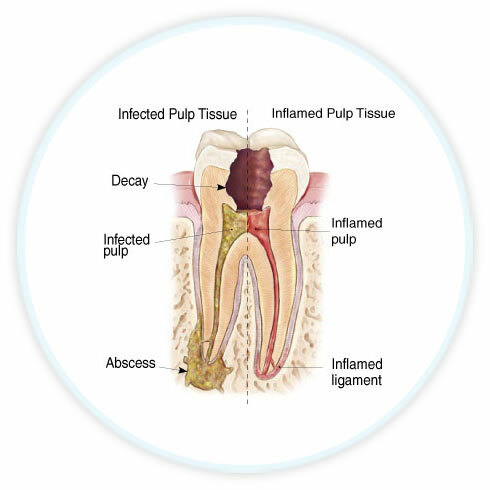 Endodontic treatment is generally performed over 1-3 visits, depending on the extent of the infection and your current state of oral and general health. It’s important that you’re comfortable and relaxed so we first administer a local anaesthetic to numb the area around your tooth and gum. Malvern Endodontics specialises in endodontic procedures including root canal treatment, endodontic retreatment, and internal bleaching. If you would like to speak with one of our team members about your treatment, please contact us with any questions.